Run, run, run as fast as you can! 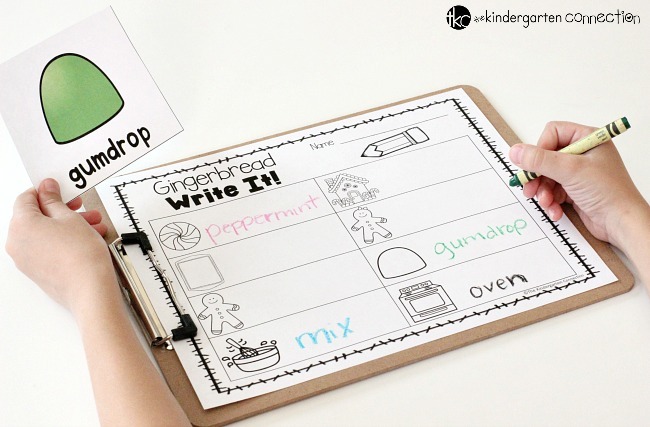 This Gingerbread Write the Room Activity is a must have for your writing center this holiday season! Your students will have a blast reading and writing with this hide and seek writing activity. Who Can Use this Activity? This writing activity is suitable for kindergarten students. You can use this for your writing center or pair children up with a partner for a game of hide the word, find it and write it! This activity is super easy to prep. 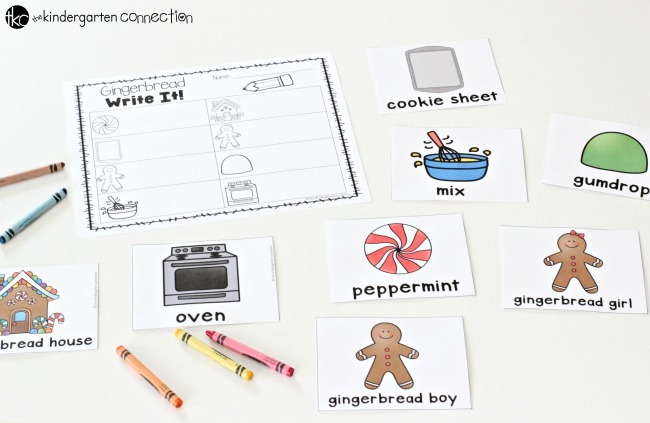 Just simply print the gingerbread vocabulary cards and recording sheet. I recommend laminating the vocabulary cards for durability. Then grab some tape and crayons! That’s it. All ready to go! This can be a single user activity or you can pair children up for partner work. 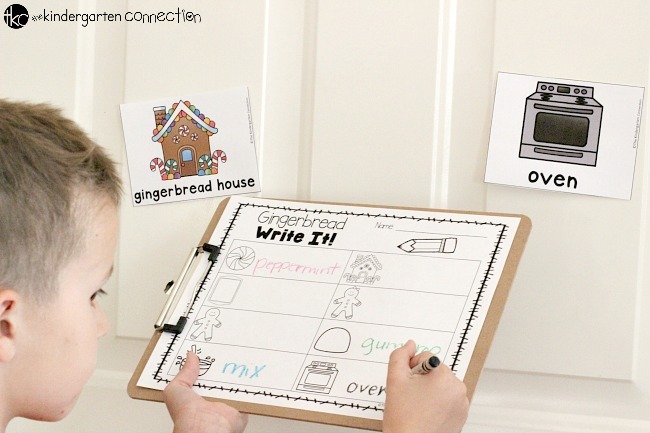 Children will find the gingerbread vocabulary words that are taped around the classroom. When they find a word, they match it to the picture on their recording sheet and write the word in the box next to the vocabulary picture. When played in pairs, one child will hide the pictures around the classroom while the other child finds them. When all picture cards have been found, the children switch. This way each child gets a chance to hide and then seek. 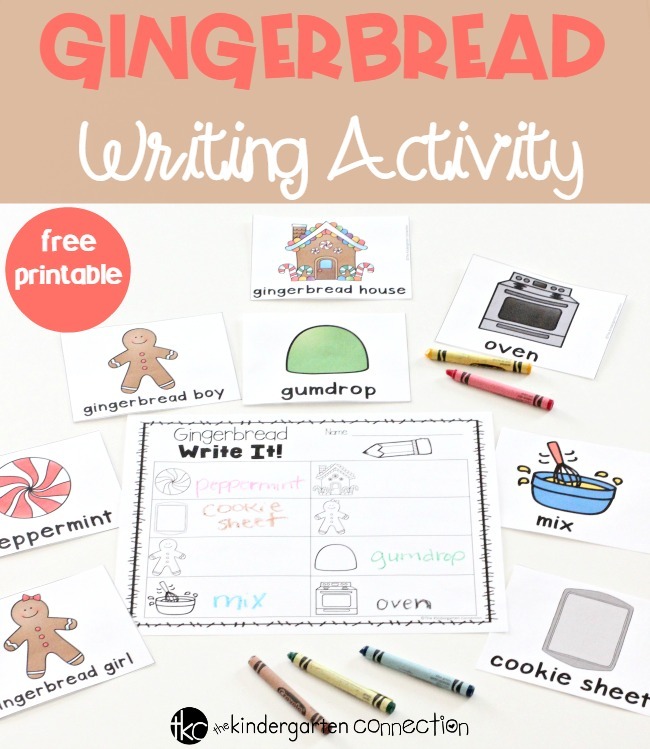 Are you ready to grab this FREE Gingerbread Write the Room Activity? Then click on the large, yellow download button at the very bottom of this post! Want more Gingerbread fun?! 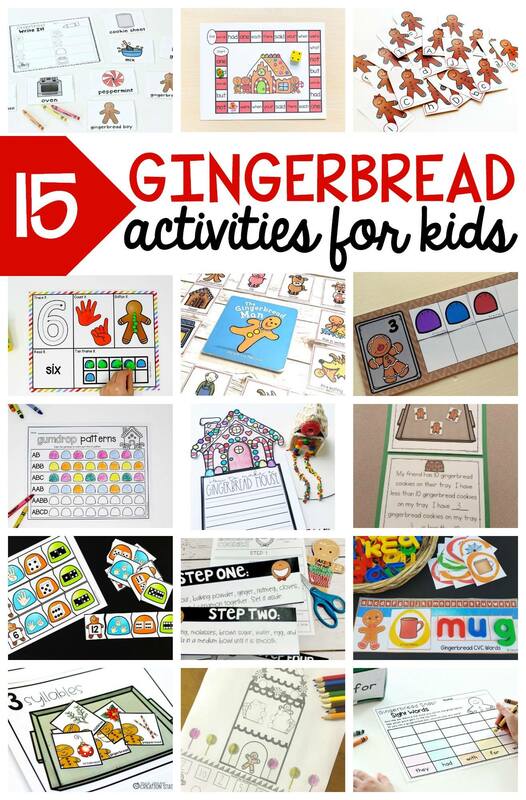 Hop on over to see some awesome gingerbread activities and printables from some of my favorite kid bloggers! Love your ideas. Glad to receive these from you.